Many may not be aware that Santa Clara County still has 24,000 acres of farmland that generates 8,100 jobs and $830 million in economic output. However, in the past 30 years alone, the County lost 21,171 acres of farmland and rangeland to development and an additional 28,391 acres are currently at risk of being developed. If we lose more of our farmland, it would not only diminish our local food source, but also result in a loss of the iconic rural character of Santa Clara Valley, important jobs and farms central to our agricultural economy, and would generate significant greenhouse gas emissions. The Authority has been working closely with Santa Clara County to develop the Santa Clara Valley Agricultural Plan (Plan), a new, innovative approach to agricultural preservation that will reduce future development of local farmland and potential increase in greenhouse gas emissions and create a vibrant local food economy that contributes to our quality of life. 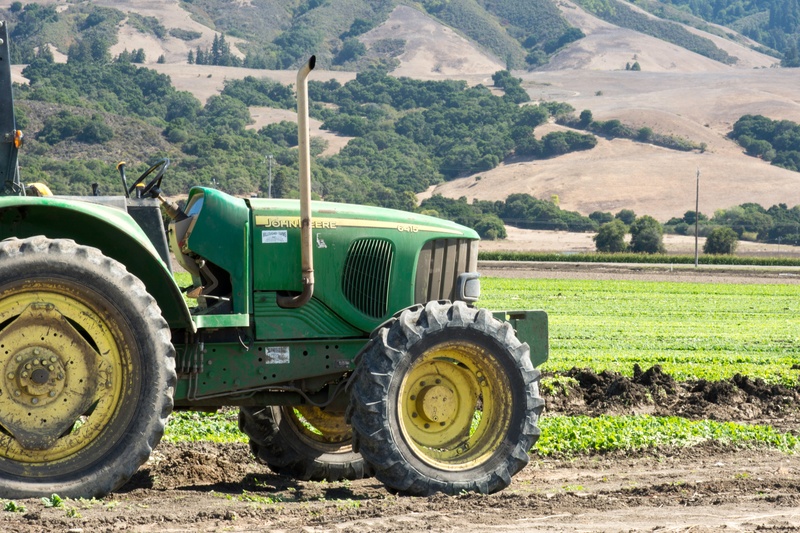 Santa Clara County's working lands have tremendous economic value, reduce greenhouse gas emissions, and increase long term climate resiliency through food security, groundwater protection, and other natural resource benefits. The Plan hones in on four focus areas to accomplish its goal: improved land use policies, a regional agricultural conservation easement program and other voluntary incentives, an agricultural economic development strategy, and a marketing effort to raise awareness about our local agricultural producers with residents and employers. The Plan was recently endorsed by the Authority's Board of Directors and adopted by the Santa Clara County Board of Supervisors, who also voted to create an Agricultural Preservation Task Force. The Task Force will develop specific recommendations to implement the strategies presented in the Plan and to identify possible funding streams to support those strategies. The Task Force recommendations are expected to be released in early Fall 2018. Read more about the Santa Clara Valley Agricultural Plan and download a copy on our website. Protecting open spaces and grasslands is important to all of us, but for some local wildlife, it’s a matter of life or death. The Western burrowing owl is one animal that relies on wide open space to survive. Instead of nesting in trees, this species takes over abandoned ground squirrel burrows and builds its nest underground. 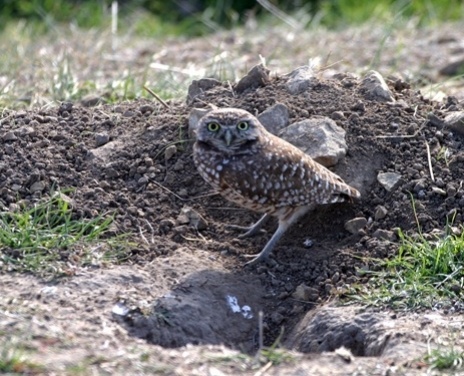 Burrowing owls are found all across western North America, but in recent decades their population has seen a steep decline due to the rapid growth of our cities and destruction of open grassland and ground squirrel habitat. One local researcher is working to learn more about these birds and the challenges that they face. Dr. Lynne Trulio, Professor of Environmental Studies and Department Chair at San José State University, has spent nearly three decades working to understand the species’ distribution, movement patterns, and breeding habits. Read more about Dr. Trulio's work. New grazing improvements and habitat conservation protections are coming to Coyote Ridge Open Space Preserve, thanks to a large federal grant awarded to the Open Space Authority. The "Coyote Ridge Grazing Program for Serpentine Species" project was awarded $938,703 from the Central Valley Project Conservation Program and Central Valley Project Improvement Act Habitat Restoration Program, both administered by the Bureau of Reclamation and the U.S. Fish & Wildlife Service. 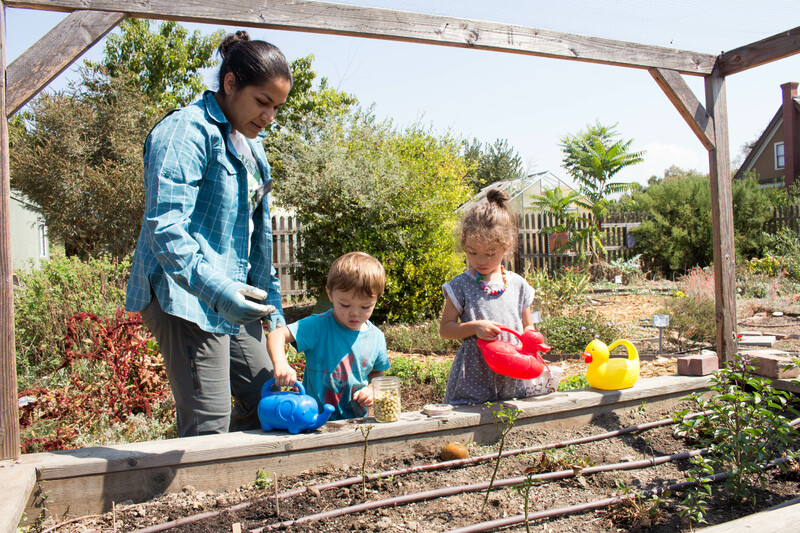 Additional matching funds are provided by the Valley Habitat Agency, Santa Clara Valley Water District, the Valley Transportation Authority (VTA), and the Open Space Authority. Cattle play an important role in helping to conserve our native serpentine grasslands. They graze exotic grasses, which helps to protect and enhance habitat for rare species such as the threatened Bay checkerspot butterfly, Western burrowing owl, and many native plants. The grazing mammals also keep dry vegetation from accumulating in the preserves, helping to reduce future risk of catastrophic wildfires. 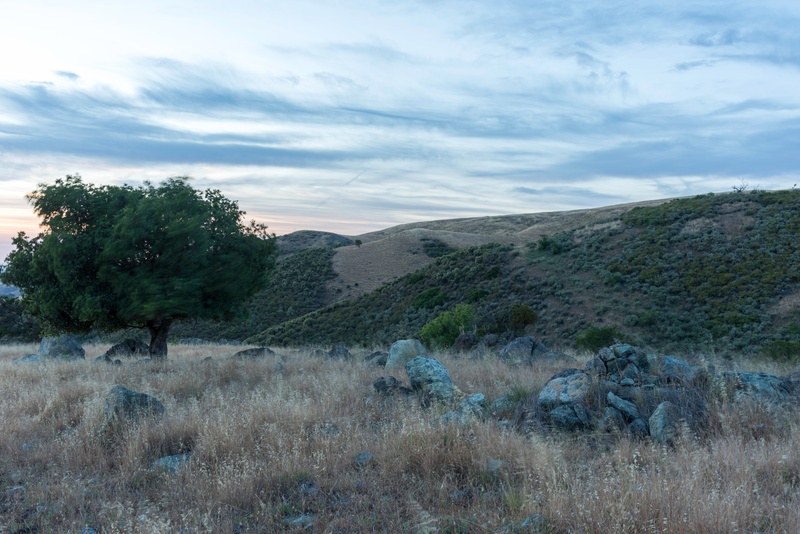 This new funding will be used to make two key improvements to Coyote Ridge Open Space Preserve and adjacent grazing lands owned by the Santa Clara Valley Water District and VTA. Updating grazing infrastructure to make them friendlier to wildlife. Run-down traditional fencing will be replaced with new fencing that makes it easier for wildlife to move through the properties while still managing for cattle. Springs and troughs will also be developed or upgraded so the cattle have additional water sites on the property which allows the rancher to have more flexibility to move cattle around the property where needed. New fencing to limit cattle access to sensitive habitat and landscapes including wetland and riparian areas. I live from southern Oregon down through California’s coast range and Sierra foothills, south into Mexico, and here you can spot me in Rancho Cañada del Oro Open Space Preserve. 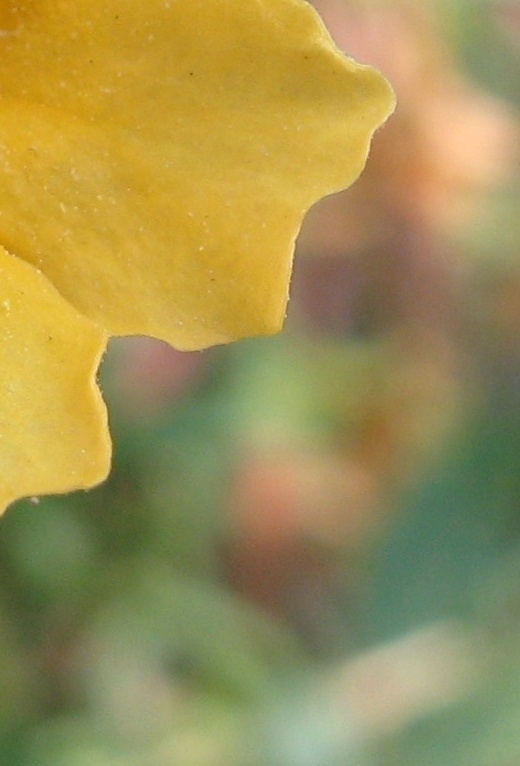 I have pale orange flowers from April to June that attract hummingbirds, bees, and other insects, including the Bay checkerspot and buckyeye butterflies. I have a unique way of protecting myself from predators! This year we’re celebrating our 25th Anniversary – a quarter century of working to protect Santa Clara Valley’s natural environment, supporting agriculture, and connecting people to nature. Each month, we’ll be featuring some of the important moments and achievements from our history. February 1, 1993 - Our Founding Day! The Santa Clara Valley Open Space Authority (then called the Santa Clara County Open Space Authority) was officially created as an independent special district by the California State Legislature. This 284-acre preserve has been in continuous agricultural production since at least 1939 and protecting this landscape helps protect the agricultural heritage of the Valley. On January 11th, the Authority's Board of Directors re-elected Director Mike Flaugher as Chairperson. Learn more about the Open Space Authority's Board of Directors. Join us for Veggielution’s 1st Saturday, a celebration of community farming and local food. To honor our 25th Anniversary and longstanding partnership with Veggielution, the Authority will be co-hosting these 1st Saturday events from February through May. Buy fresh, organic produce at the Farm Stand, explore the Youth Garden, participate in yoga, or watch a cooking demonstration during Veggielution Cocina. The Authority will be giving away seed pods so you can start your own garden at home! 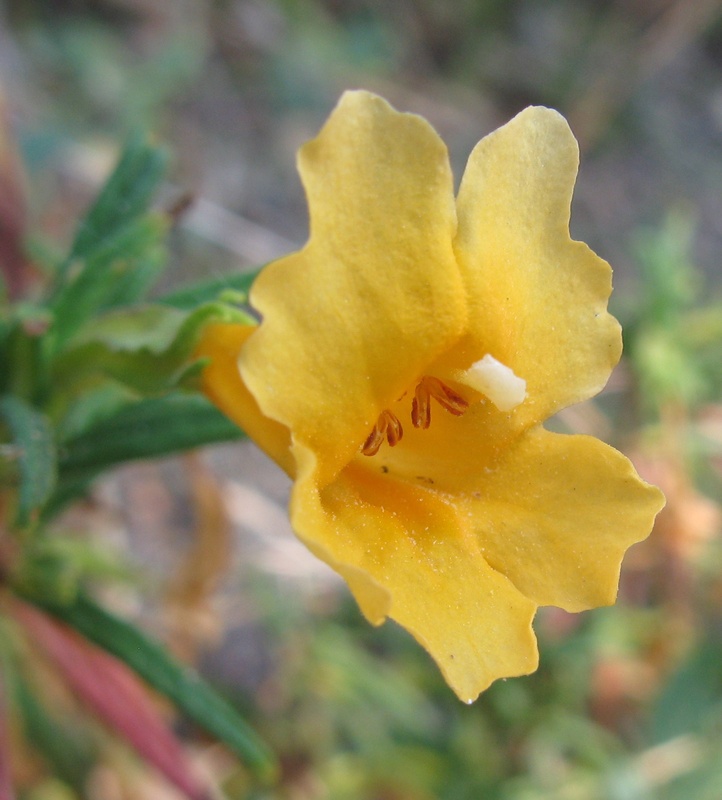 I’m Sticky Monkey Flower, a perennial shrub. Look closely and you might spot the “monkey” face that gave me my name! My leaves exude a gummy resin thought to protect me from hungry caterpillars. My flowers close when touched by an insect or blade of grass, preventing self-pollination to ensure my offspring are as healthy as possible.